In HG and Lee, we are encircled by busy roads which regularly exceed agreed air pollution limits. Lewisham has some of the highest levels of chronic asthma and respiratory disease, not just in the capital, but *in the country. *You will have heard about local girl Ella who passed away from asthma, age 9. Ella lived close to a very busy local road and her hospital admissions have been linked to days with big spikes in local air pollution. 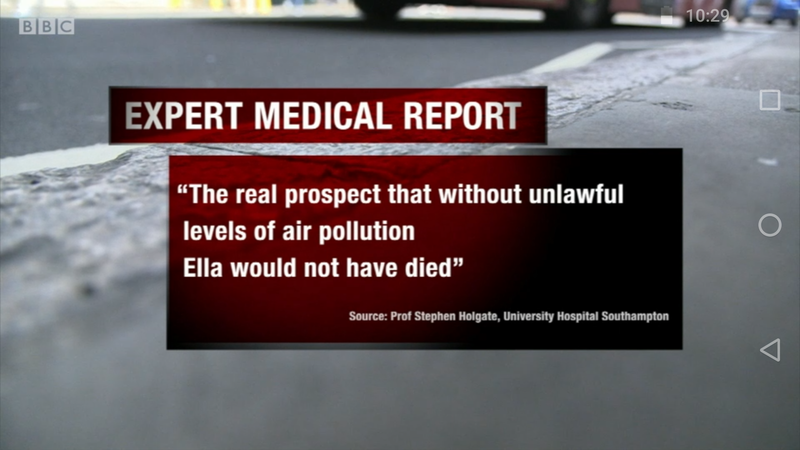 Rosamund, her mum, has been working tirelessly and recently won the right to a fresh Inquest in order for air pollution to be considered as a cause of Ella’s death. An application will be lodged for a new inquest at the High Court mid February. Please consider supporting her campaign to part fund the legal fees. Rosamund has managed to raise almost £20,000 in a few weeks, but now has just *a week* to raise the remaining £6,000. If the target is not reached, all pledges are returned. All eyes are on this case because it could be a large step to statutory bodies being held legally accountable for air pollution and therefore having to active measures to tackle polluted bottlenecks like Brownhill Rd, Burnt Ash Road, the Tiger’s Head junction, Catford Gyratory and hundreds of similar carriageways in cities across the country. This really could be quite the legacy, giving Ella’s mum a chance to rest.